or perhaps you a new mother feeling that motherhood is everything but what you expected it to be like? At Hope Counseling, we know that your pregnancy is special and that your child’s growth and development is paramount. While it’s normal to have emotional ups and downs, many women experience more of the downs or have increasing anxiety during this time. They may find that their low moods keep them from enjoying pregnancy and new parenthood as much as they had hoped. They may feel sad, confused, overwhelmed or anxious – and sometimes all of these at the same time. We help women assess their moods, with the goal of developing a personalized mental health plan for each patient that can bring back joy and excitement. Treatments may include medication, therapy, support groups or a combination of these approaches. Angela provides specialized counseling for women experiencing depression and anxiety during and after pregnancy. 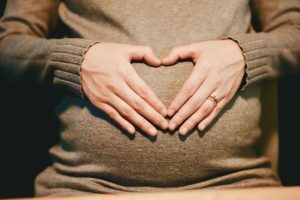 If you are a new mother and recognize any of these questions or emotions, you should know that, with help, pregnancy and postpartum depression and anxiety are very treatable. Women can, and do respond well to treatment. You do not need to continue to feel this way. If you feel that you may be experiencing pregnancy or postpartum mood disorder, or worry that you may be at risk of developing it, please contact our counseling center to setup an appointment with Angela Jensen-Ramirez.